LIVE VIDEO: Michael Cohen Takes Plea Deal From Feds - Joe.My.God. Michael Cohen, President Donald Trump’s former personal attorney, has surrendered to the FBI ahead of a 4 p.m. court proceeding, where the government is expected to disclose a plea deal, according to a law enforcement source. It’s not clear if cameras will be inside the courtroom. 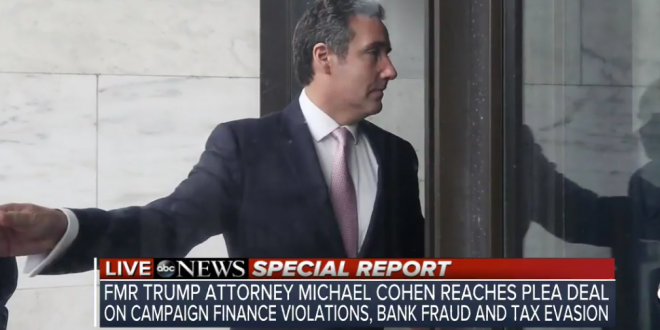 Cohen is expected to allocute, although we still don’t know the exact charges.